The Liverpool City Region Local Enterprise Partnership (LEP) has been successful in being awarded delivery partner for the Interreg Atlantic Area project associated with developing the Maritime, Military and Industrial Heritage of the Atlantic Coast (MMIAH). The initiative is financed by the European Regional Development Fund (ERDF), is designed to address the loss of identity of the coastal towns of the Atlantic Area. The project is specifically concerned with those parts of the area that are rich in their maritime, military and industrial heritage but have been neglected and in some instances, have fallen into disuse. 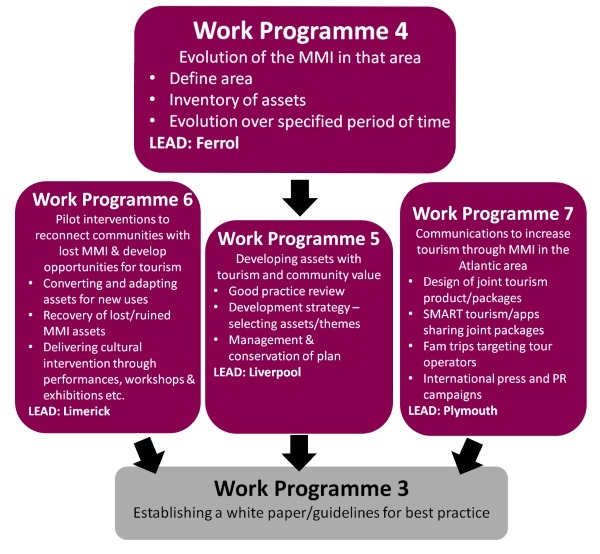 Through a series of work programmes, the project will help all partners map these assets and establish a series of master plans aimed at assessing their potential as visitor attractions. Seen as best practice example in terms of its significant heritage value and the catalytic effect the emergence of the Albert Dock has had on the wider regeneration of Liverpool’s waterfront. The city’s waterfront is iconic in that its forms part of the areas UNESCO World Heritage site and has a rich maritime past as a trading seaport. The structures and partnerships that have been created to manage the waterfront are seen by many as best practice. The City is well connected with the other districts of the city region and there are considerable opportunities to strengthen these relationships for the wider benefit of the water front and conserving its maritime and industrial heritage, whilst increasing visitor numbers. Knowledge sharing and best practice. Positioning Liverpool as an exemplar on a pan – European stage. New partnerships – domestic and international. Consolidating the LCR LEP as a knowledge leader, ambassador and facilitator of growth in VE development. The project will involve the LCR LEP leading one of the 7 proposed work programmes to evidence best practice in tourism regeneration. This will be delivered through a white paper based on a review of all of the partners assets that in turn will be used as a best practice guide for future regeneration of these assets. The project will also fund three City Region projects at Tate Liverpool, Port Sunlight (Port Sunlight Village Trust) and in Southport (Sefton Council). The LEP has established a LCR Interreg Stakeholder Group (ISG). Their role will determine local strategy, reviewing evidence gathered and offering advice for the MMIAH project. The ISG meets approximately four times each year and initial tasks for the ISG include mapping and identifying the industrial and maritime heritage assets of the local project areas before undertaking a full evaluation.